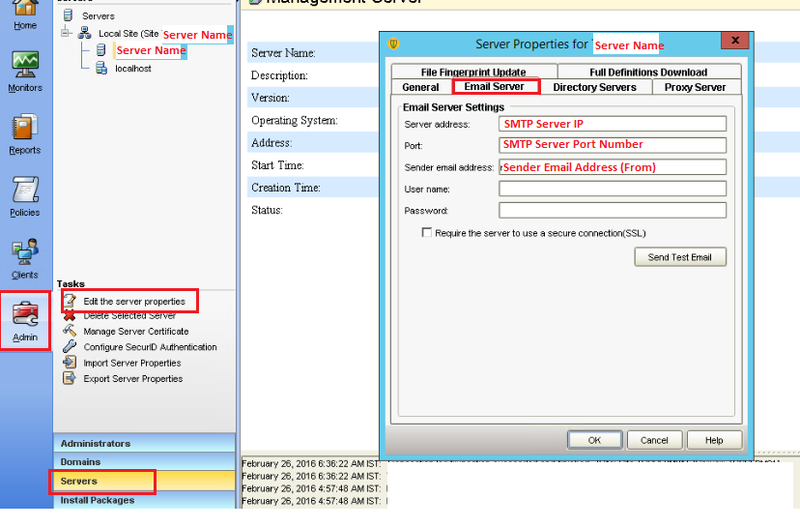 Techies Sphere: How to Configure SMTP Settings in Symantec Endpoint Protection Manager? How to Configure SMTP Settings in Symantec Endpoint Protection Manager? Or, How to Configure Email Notification in Symantec Endpoint Protection Manager? >> Provide all the necessary details here and Test the email flow.